Would-be operators of the European satellite-based augmentation system have until July 16 to submit requests to be able to compete for an eight-year contract through 2021. 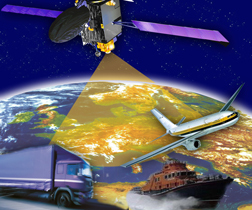 The negotiated call for tenders by the European GNSS Agency (GSA) is the first step in a process to continue operation of the European Geostationary Navigation Overlay Service (EGNOS). A counterpart to the U.S. Federal Aviation Administration’s Wide Area Augmentation System (WAAS), EGNOS EGNOS augments the civil GPS L1 C/A-code signal function by providing correction data and integrity information to improve positioning and navigation services over Europe and adjoining regions. Operation, maintenance, and provision of EGNOS services has been handled since 2009 by the European Satellite Services Provider (ESSP) SAS under a contract with the European Commission. This contract expires on December 31, 2013. ESSP SAS is a private company founded in 2001 by seven air European ANSPs. The GSA is charged with overseeing the EGNOS services and assets on behalf of the European Union. As with WAAS, EGNOS targets civil aviation as its primary user community. An EGNOS Service Provision Yearly Report (April 2011-March 2012) issued June 6 by ESSP noted the establishment of “a steady increase of implemented EGNOS-based approach procedures” in various countries and airports, including France (10), Switzerland (2), Germany (38) and Guernsey(1). EGNOS began operation of its open service in October 2009, and in March 2011 ESSP declared EGNOS operational for safety-of-life (SoL) services. SoL service is designed to ensure that the satellite correction error and ionospheric error are bounded with a probability of 99.99999 percent — essentially reflecting the system integrity. However, another dimension of the EGNOS Service that has also gained in importance over the past year is the EGNOS Data Access Service (EDAS), also known as the EGNOS commercial service. Again, as with WAAS, EDAS users are “added value service providers” in other areas than aviation. EDAS is expected to become, for example, a key element for implementing the European Directive for tracking the transport of dangerous goods. Over the past year, the EDAS service saw a more than 30 percent increase in users, according to ESSP SAS. Evolution plans are in place for 2012 to increase the capacity and service levels of the present EDAS service, which is currently available on an experimental basis. The GSA plans to award the new EGNOS service provision contract in 2013. Deadline for submission of initial tenders is expected to be in November 2012. The EU Official journal for the contract tender notice can be accessed here. All documentation related to this call for tender can be found on the GSA procurement link here.